The new capsule collection created by designer Thierry Lemaire for Fendi Casa for the Salone Internazionale Del Mobile 2018 redefines true sophistication. Fusing Italian style and French decorative art, the new capsule that brings together Roman maison Fendi Casa and the distinguished French creator, is the perfect celebration of architecture and aesthetics. 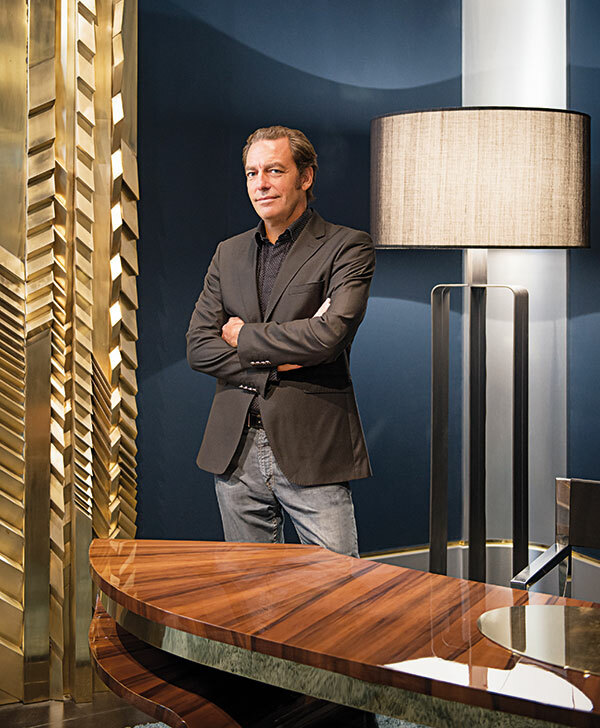 The house’s association with Lemaire started in 2013, when he conceived iconic furnishings for rooms of the historical Italian Fendi Casa flagship store in Via Montenapoleone. Replete with elements of minimalism and uncommon design, the collection has brilliantly combined leather and velvet with fur, and metals and wood with the rarest of marbles. “Fashion and design are two really very close creative fields and it was stimulating to create domestic furnishings able to blend the values of both and raise them to new heights,” says Lemaire. 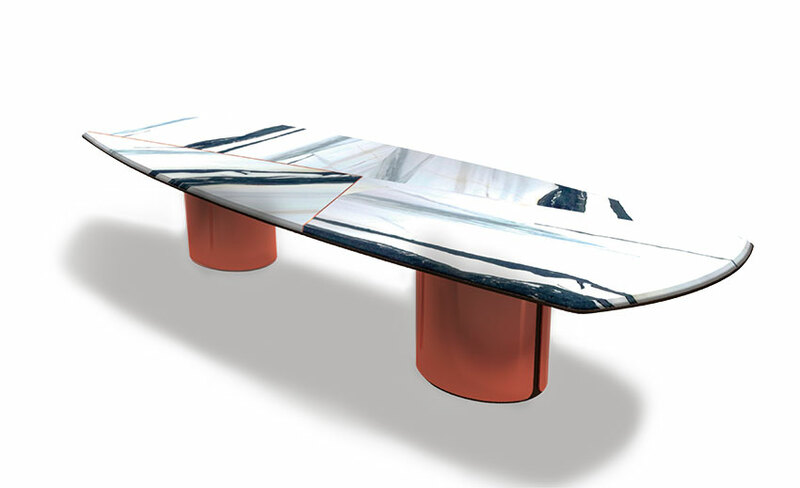 Emblematic of Fendi Casa’s art de vivre, both harmonious and elegant, with its sleek design and clean volumes, the Beaune table is a revelation. This almost sculptural piece was created with contrasting materials and enhanced by excellent craftsmanship. Two cylindrical bases with bronze-finished metal coverings support the top made up of an imposing slab in rare Panda White Marble. The white stone surface and black nuances are marked by metallic intersections coordinated at the base. Perfectly poised with extremely minimalistic lines and warm materials, Beaune also includes a console. The complementary item for the lounge embellishes contemporary residential ambiences. Sharp lines and elements of angled architecture are apparent in the Constantin Sofa. It is a piece of furniture that reflects extreme coherence through the choice of upholstery (hazelnut-coloured leather, sand-coloured cotton velvet) and the decorative cushions. The new cushions are a tribute to the iconic FF logo, designed by the maestro Karl Lagerfeld in 1965, and created for the occasion in inlaid mink fur, a skilful expression of Fendi’s excellent and unique savoir faire in the art of fur. With timeless style, these items are part of a made-to-order line.